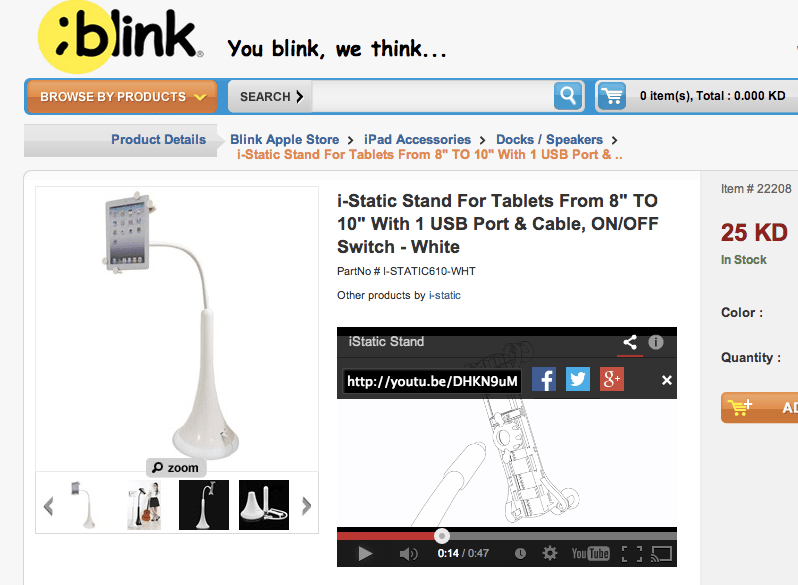 Yesterday Blink.com.kw had a 1 day offer with more than a 50% discount on a Tablet stand. 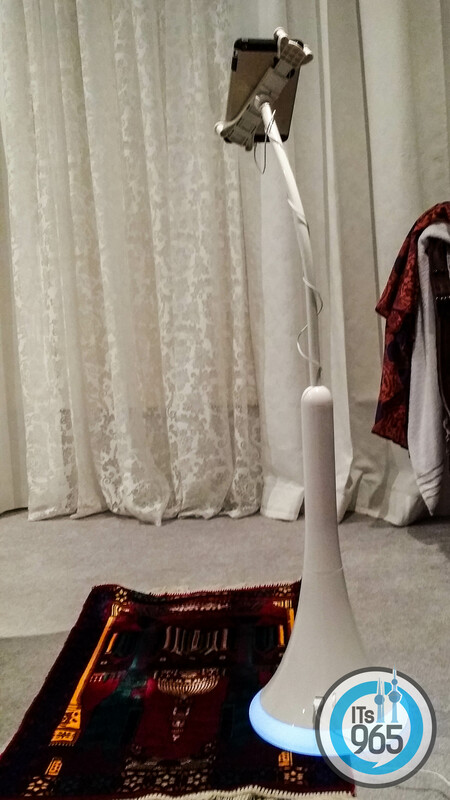 I wanted one but 25 KD was a little too much and it was offered for 9 KD yesterday, so I didn’t hesitate and directly went and bought one. 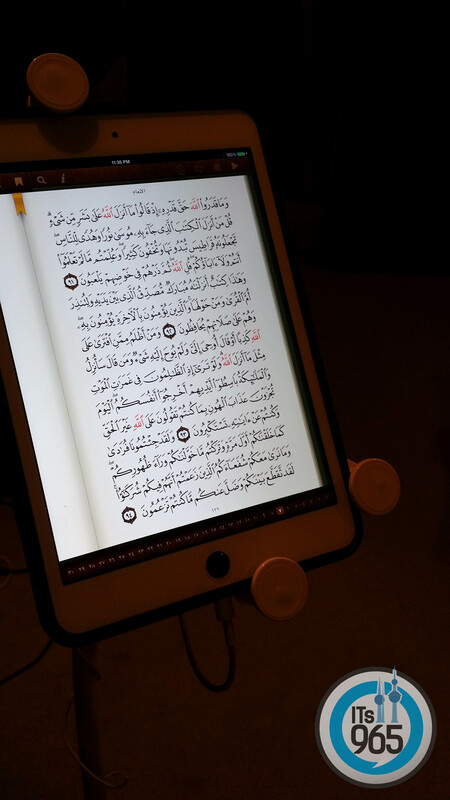 Best use for this stand for me is during prayer as I can have the Quraan on my ipad and be able to read from it while praying also to have your ipad next to your bed and charging at the same time, so its great for watching a movie. Its not 100% stable due to the flexible nature of the extension arm which you can move up and down as you desire, but for the ipad mini it held it up pretty good and was stable enough, and the charger slot is another advantage which for me completes this stand, you simply connect your current charger via an extension USB provided and connect your tablet via a USB cable on a higher slot.